Black Friday and Cyber Monday are just the kickoffs for all this season has to offer. With everyone out and about and in a shopping mood, this holiday season is the perfect time to run deals. Offering seasonal sales is essentially a standard in any industry—but especially in the retail industry. Of course, the point of offering sales is to generate more business. To spread the word about your seasonal sales, retail store signs in Atlanta can assist. 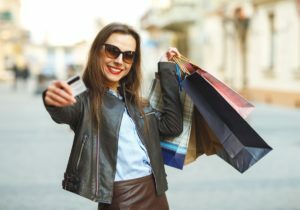 Whether you need channel letter signs for your storefront or window graphics to promote upcoming sales, retail signs in Atlanta are the way to go. Compared to alternatives, signage is the best bang for the buck when getting the word out there. If you decide to run ads whether on the radio, on a billboard, or on TV, that ad will run for only a limited time. That temporary run of your ad will have such a short life, making your exposure per dollar spent not very valuable. If you think about ads, they’re a space with large exposure you’re essentially renting. With your storefront, you already own that space, which is already available to you for free, so use it to your advantage. With the holidays near, seasonal sales are so important to getting customers in the door. A lot of retail stores—small and large—have storefronts laden with windows. That space is perfect to promote the deals you have going on inside. 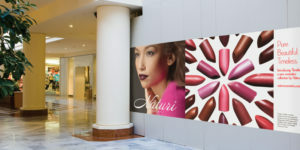 Communicate your message and expand your exposure by adding retail signs. Retail Signs are an extremely effective way to gain exposure to your brand. By having retail signs in Atlanta, people will constantly see your brand. Given all the people who pass by your storefront every day, your store can be top-of-mind for anyone who needs your products. For example, if run a small electronics store, people who pass by your store daily on their commutes will think of you when they need one of your products just because you made your presence known to them. Be at the forefront of your audience’s minds. For your retail signs in Atlanta needs, Apex Signs & Graphics is here for you. Contact Apex Signs & Graphics at 678-795-0775. For more on how business signage can benefit your business, connect with us on Facebook, Twitter, and LinkedIn.